Experience Lapland and the exceptionally beautiful nature of Luosto by taking part in our Arctic Adventures and Safaris. Our Winter Weekly Excursions 2019 offer a wide range of activities and experiences, affordable and easy to join! 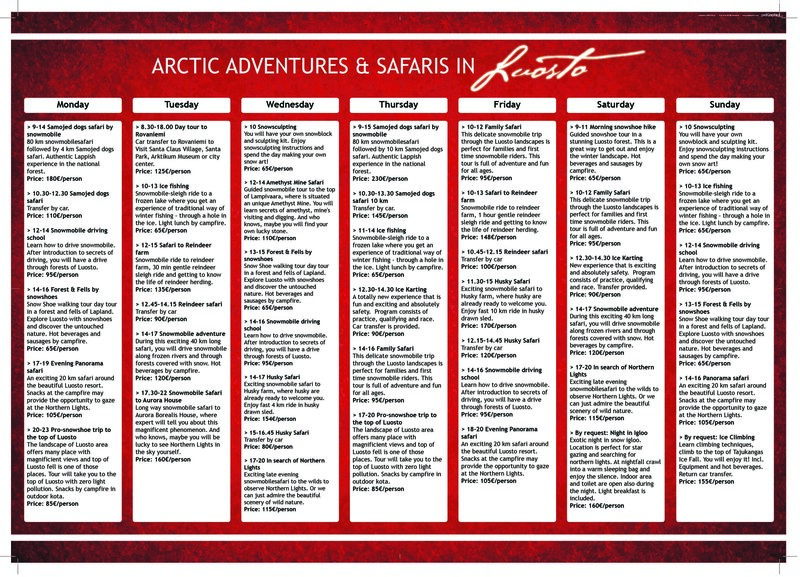 For those, who want to explore Lapland even further, Adventures In Luosto Safarihouse offer a selection of winter safaries available on request. Booking and confirmation terms can be found here.